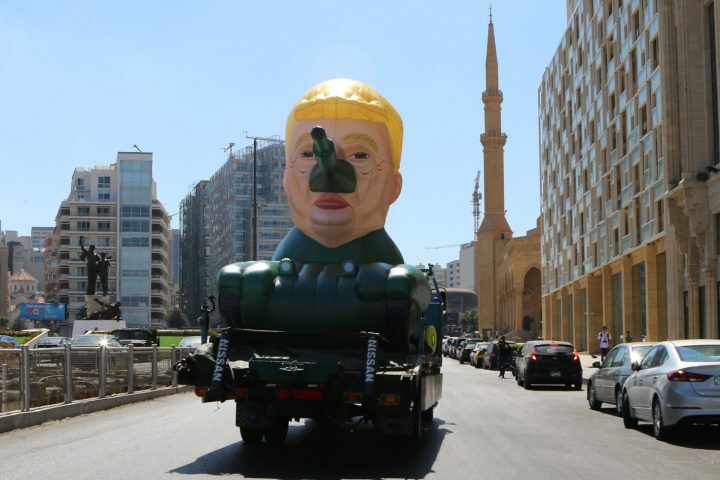 Beirut is no stranger to absurd sightings and military artillery, but recently, an inflatable tank shaped to resemble Donald Trump’s face captured everyone’s attention in the Lebanese capital and on social media. On Monday night, the cryptic and anonymous Syrian artist SAINT HOAX published a video of the roaming tank on his Facebook and Instagram pages, its elongated nose shaped into a cannon. 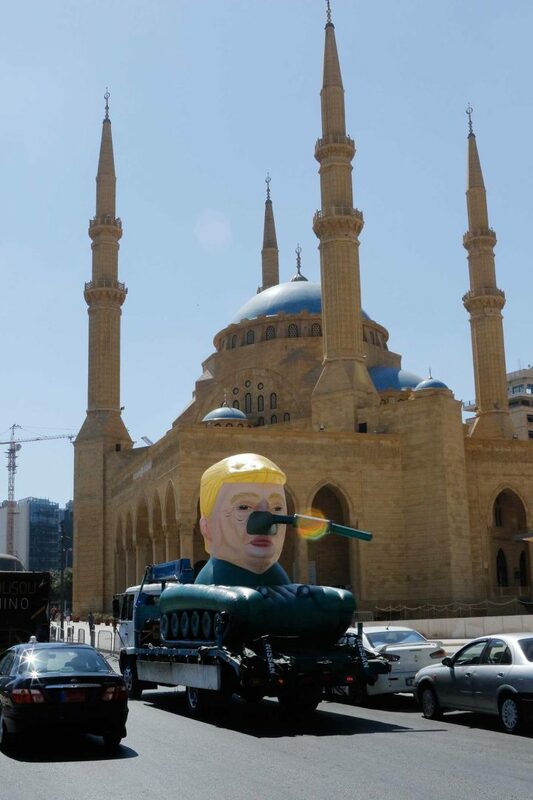 Alluding to the American president’s controversial foreign policies, the self-proclaimed “POPlitically incorrect” artist provokes simultaneous amusement and terror as the mobile sculpture marches forward on its path of destruction. Just like the farcical leader of the United States, the hoax is dangerously deceptive in its artificiality — a striking flashback to memories of invasions and civil wars. “I think of my posts on Instagram as contemporary editorial cartoons using a new medium,” the artist (whose own account is followed by 732,000 users) explained to Hyperallergic in an email. The title of the piece, “MonuMental,” shares a name with an accompanying exhibition of pop portrait paintings, referring to the dubious psychological state of some of our leaders. The opening will be this week at the landmark Egg, an abandoned rounded bunker in the downtown Beirut area. 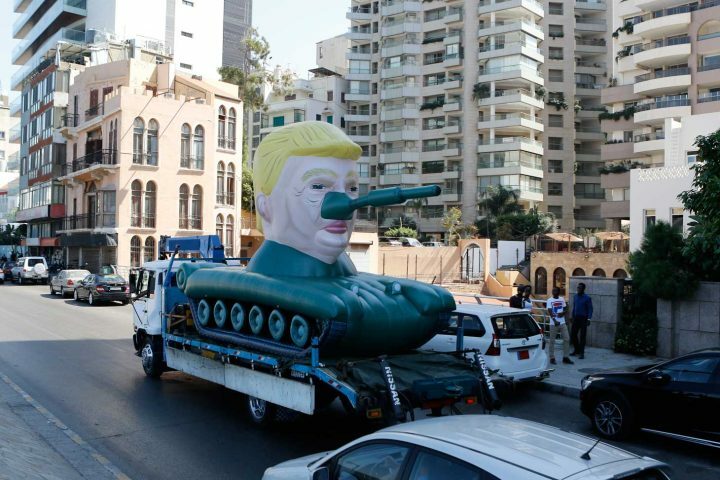 The post Trump-Shaped Inflatable Tank Roams the Streets of Beirut appeared first on Hyperallergic.